The Kentucky Derby is one of the most famous horse races in the world. Held annually in Louisville, Kentucky since first launching in 1875, the race sees thoroughbreds barrel down a track that is about one and a quarter mile in what is known as the “most exciting two minutes in sports”. Horseracing and betting are almost synonymous with each other, so it isn’t really surprising that some Americans may look to place bets on the Kentucky Derby. Below we look at the ins and outs of betting on the famous horseracing event. This includes the different types of bets available to bettors and rules surrounding bets. These are the top sportsbooks to use for all your horseracing related needs. This includes any bet you would like to place on the Kentucky Derby. Before you can place a bet on the Kentucky Derby, you need to know what types of bets are available to you. Essentially, there are two types of bets: straight bets and exotic bets. These are simple bets that are placed on a single horse in a single race. Depending on the stipulations selected, the bet can either suggest that a particular horse will win the race or simply finish near the front. Win – as the name may already imply, bettors select a horse they think will win the race. If the horse you chose wins the race, you win the bet. Place – these bets suggest that a particular horse will finish either first or second. Show – very similar to a place bet, except bettors win if the horse finishes first, second or third. Odds on horses are generally lower on place and show bets because bettors have multiple chances to win, but this isn’t always the case. Exacta – betting on which horses will finish first and second. Quinella – bettors select two horses to finish first and second but placing doesn’t matter. This bet isn’t always available at all sportsbooks. Trifecta – is exactly the same as an exacta, expect bettors need to predict which players will finish first, second, and third. Superfecta – you’ve probably already gotten the trend but this bet sees bettors select which horses they feel will place first, second, third, and fourth. 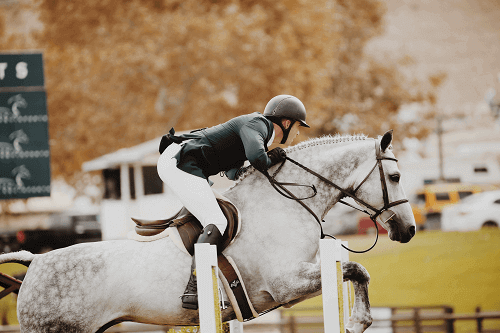 Super High Five – selecting which horses will finish first, second, third, fourth, and fifth. It is high risk, high reward bet. Horizontal bets – these bets simply involve picking the correct winner in a number of different races. Daily Double – these bets see bettors select two or more horses to win multiple different races. The Daily Double is probably one of the best bets to make at the Kentucky Derby. When taking out exacta bets, it may be beneficial to bet on multiple different winning combinations just to cover your losses. Alternatively, you could select one horse you think is a shoe-in to win the race and then pair it with as many horses as possible. Try to look for horses that have had the same jockey for multiple races. These picks generally tend to perform better. In addition to this, the perfect combo has won at least 20% of their past races. Many a time a horse that has won its last prep race leading into the Derby has won the Derby too. Horses need to have raced as a two-year-old in order to win. There has only ever been one horse that has won without doing so. The Kentucky Derby is one of the most exciting events in horseracing and provides avid sports bettors with multiple betting options. With all these wonderful options, who wouldn’t want to place a bet on the “most exciting two minutes in sports”? Scroll up to find a list of the best sportsbooks for betting on the Derby.